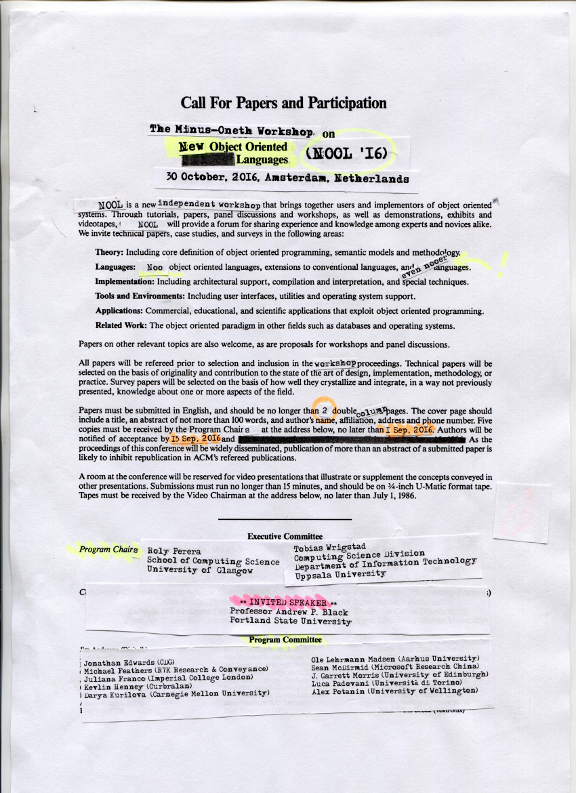 NOOL is an informal event, with short submissions (2-page abstracts, using 2-column 10pt ACM SIGPLAN format). We welcome language demos, polemics, discussions, and preliminary research results. 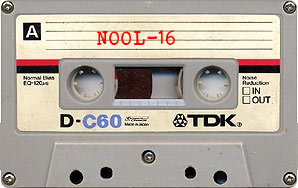 Submissions via https://nool16.hotcrp.com/. Professor Andrew Black of Portland State University will be giving an invited talk entitled The Essence of Inheritance, originally presented at WadlerFest 2016. As with last year’s NOOL, any resemblance to the OOPSLA-86 CFP is quite possibly intentional.